Our preschooler loves fairies! 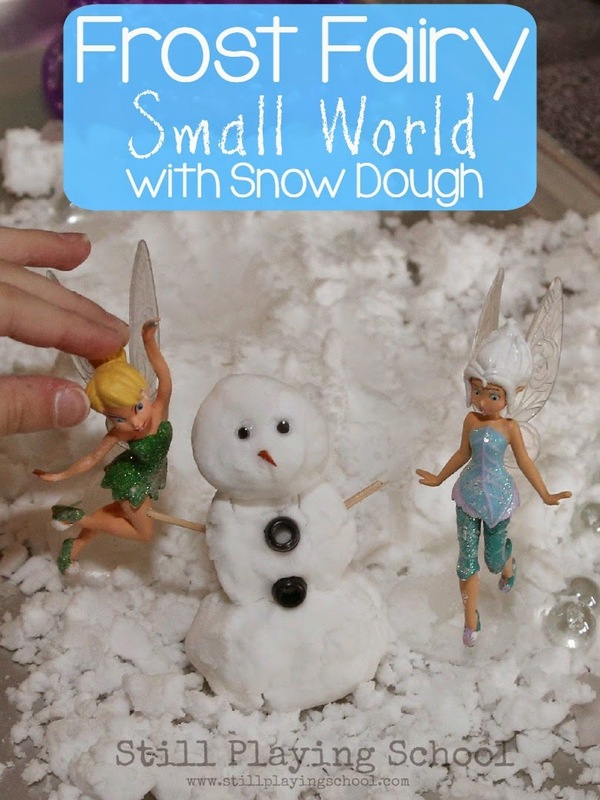 When we learned that Tinker Bell has a sister Periwinkle who is a frost fairy we had to create a winter small world for them to explore complete with snow dough! 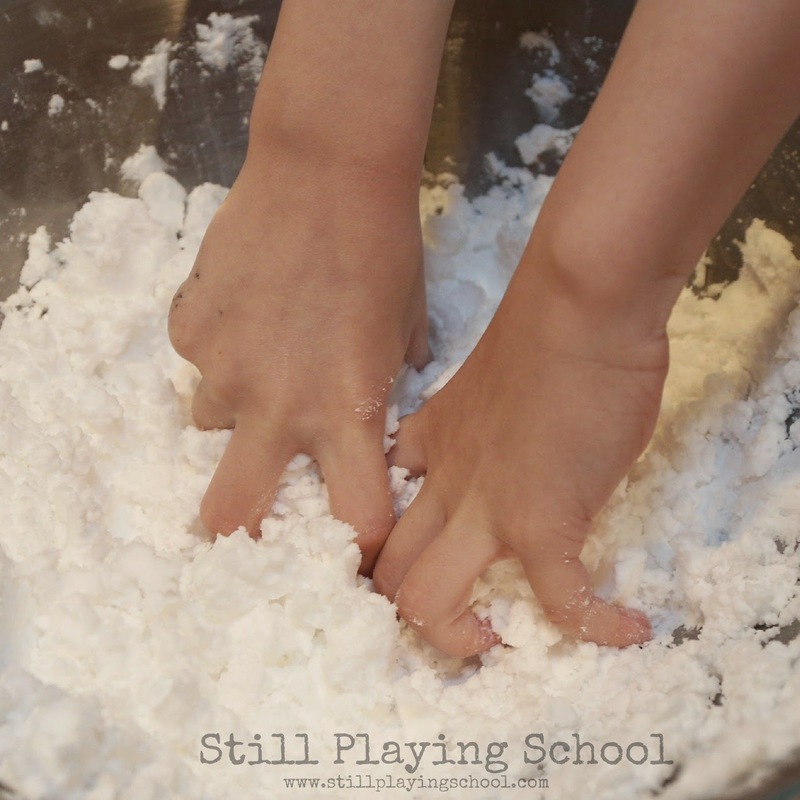 We're continuing our 12 Months of Sensory Dough series right into this year to bring you 12 MORE sensory dough recipes for play! 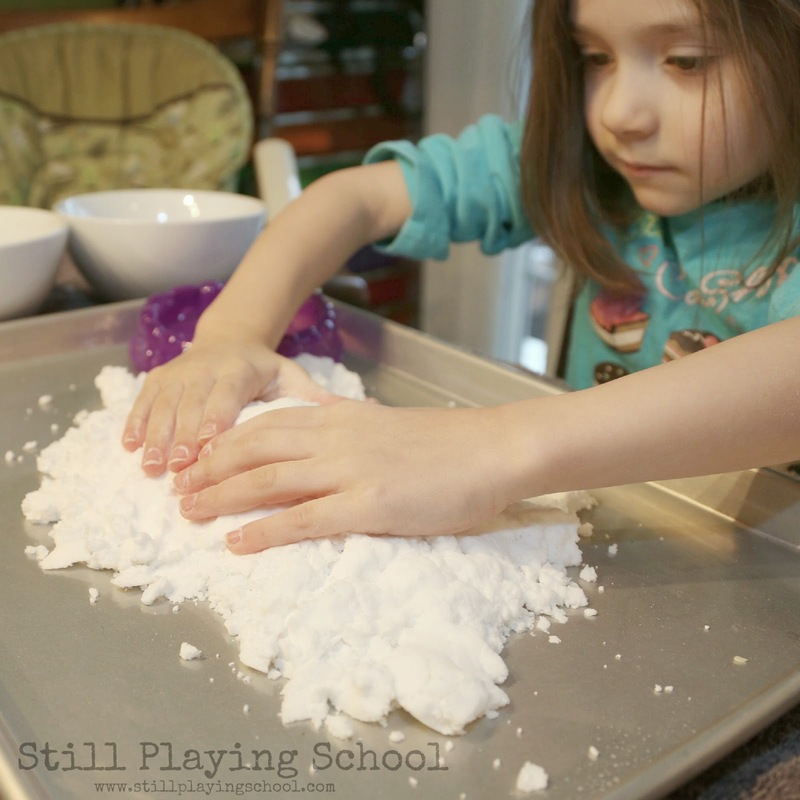 We used hair conditioner (from the dollar store) and baking soda to make our snow dough. We just added both in a bowl and mixed with our hands until it felt moldable enough! 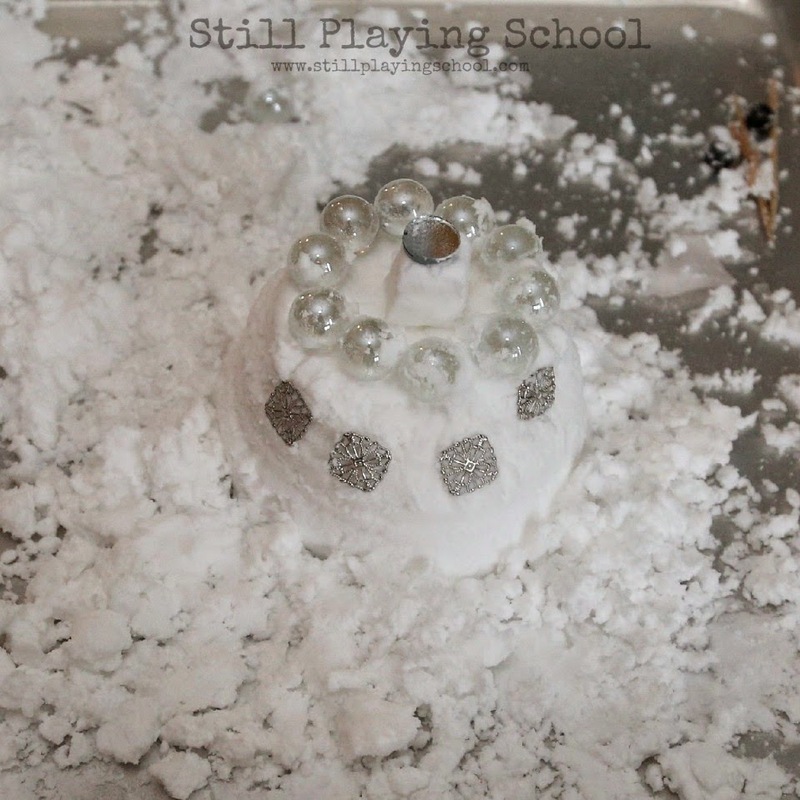 Our preschooler liked packing it and making snow balls and mountains. It was the most appealing sensory dough for fine motor work. We added loose parts including clear marbles, mirror discs, and silver snowflakes to create a winter fairy world! Tinkerbell's sister Periwinkle was introduced to us in the movie Tinker Bell: The Secret of the Wings. The Disney fairy dolls we used in this icy small world are the same ones we used on our light table fairy land. They are plastic and easy to rinse after fun and messy sensory play! Follow Still Playing School's board Small World on Pinterest.